Your watch is your connection to the movement of the day. And while many high-end timepieces are built to last for years, run-of-the-mill watches don’t have nearly as long of a shelf life. If you’re not the type to sell your tech for cash and you prefer to keep your favorite devices around for a long time, it pays to take good care of your watch. And that means knowing when it needs to be fixed. Not sure when your watch is in trouble? Here are a few key signs that you’re in need of a watch battery replacement. The single biggest sign that it’s time to replace your watch battery? Simple: your watch has stopped. 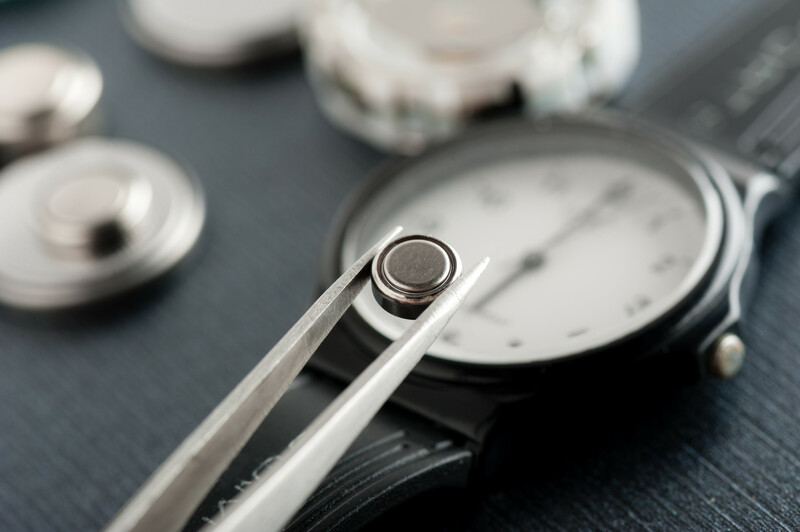 As a rule, when presented with a stopped watch, a watch technician will check the battery first. Another glaring sign of battery issues is a watch that no longer keeps time, even if it still continues to tick along. This includes watches that run slow and watches that run fast. If you have a digital watch, a dying battery is the most common culprit. If you have a mechanical watch, things may be more complicated. For example, if you have a quartz watch that’s losing time, it could be because the gears are wearing out, or they need to be cleaned or oiled. A common warning signal is a minute hand that ticks back before it ticks forward. An older mechanical watch may need the springs, shaft pivots, and jewels balanced. A watch technician can do this for you. Regardless, the most common culprit here is battery trouble, as the watch doesn’t have sufficient power to work as it should. Much like the minute hand jumping, a second hand that jumps is also a sign of a worn out battery. If you have a quartz watch, it’s almost always battery-operated, and one of the early warning signs of a dying battery is a second hand that skips two to five seconds. Unfortunately, this is fairly common, especially in older watches. If your watch is doing this, take it in right away, even if the other two hands are still keeping time. A struggling second hand can quickly turn into a dead watch if it goes on too long. Okay, technically this is a general sign that your watch needs some TLC. Still, if you see moisture or condensation in the watch face, a dead battery usually isn’t far behind. Think about it. A watch is a mechanical object, and the average automatic movement requires synchronicity from over 100 parts. Even the slightest amount of moisture will corrode the internal mechanisms of the watch and cause the watch to slip out of time (or kill the battery outright). If you’re away from home and notice moisture in your watch, do everything you can to keep the back of the watch warm, as this will push moisture away from the delicate moving parts inside the watch. The moment you can, take your watch to a specialist. They’ll take your watch apart and dry out the components. Another sign of trouble is a rattling noise inside the watch or any indication that the hands are loose. We tend to take our watches for granted. After all, they work for us 24/7, and we assume they can take any abuse we pass to them. But a watch is an incredibly precise piece of machinery, and if anything is loose in the watch, it can seriously throw it off. Remember, even if the watch is working, take it in at the first sign of rattling. You have no way of knowing what’s loose in there–is it a gear? the battery itself?–until the watch is taken apart. If your watch’s crown is no longer cooperating with your time and date adjustments, it’s time to worry about your battery. The crown of the watch is the tiny dial connected to a stem inside the watch movement, allowing you to adjust the time and date on your watch. If you notice that the crown seems to be stiff or loose, or that the date and time aren’t responding, there could be a few things wrong with your watch. One option could be battery problems–if the watch has no battery life, it can’t adjust or keep time. It could also be a mechanical problem (if you have a mechanical watch). Either way, get your watch serviced on the double. Need More Than a Watch Battery Replacement? Need a watch battery replacement for your wearable device? Need more tech fixes than just a battery replacement? No worries. We’ve got you covered. You can get a free quote in minutes so that you know exactly the scope of fix that you’re dealing with. That way, you can get your tech fixed and working for you again. There’s no time to waste! Use our contact page to get in touch.